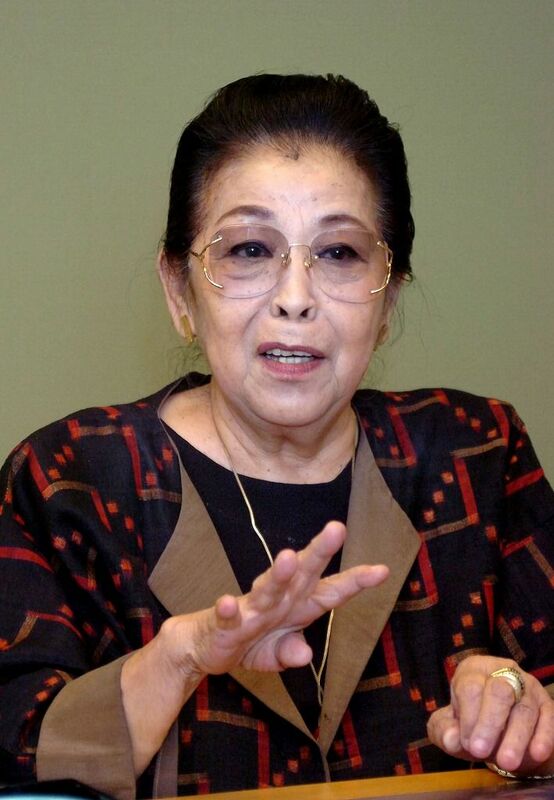 Sumiko Kitajima (born Sumiko Machida), the actress who was famous for her one-woman play that spread the message of the importance of peace using the Battle of Okinawa and post-war history as material, passed away from renal cell cancer at a hospital in Naha at 7:10 p.m. on April 9. She was 85. Kitajima was born in 1931 in Motobu-cho. Her father, the actor Shosei Uema, had experienced war while on tour in Palau. After graduating high school, Kitajima was steered towards acting by her father. She extended her range of expression by appearing in Anthropology Hall (written by Seishin Chinen) with the acting troupe Sozo. In 1979, she performed the one-woman play Island Ballad (written by Keifuku Janamoto), after which she began creating her own works. She also served as a personality on the long-running program “Minyode chu uganabira” on RBCi radio from 1963 through 2016. Also, almost every year starting in 2001, she appeared as an actress in Children’s Day Performance at the Sakima Art Museum. Festival Excellence Award for Theatre. In ‘89 she won the Okinawa Times’ Prize for the Arts. In ’96 she won the Yasue Yamamoto Award, and was recognized by Okinawa as a Person of Cultural Merits. 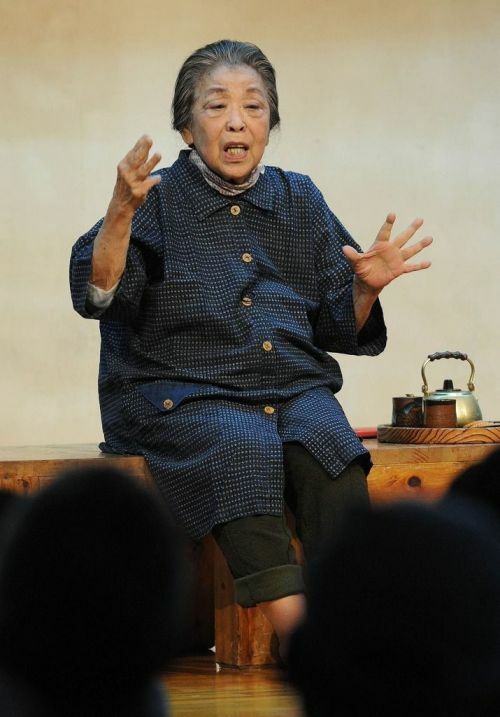 In ’99 she was recognized as a keeper of Okinawan intangible cultural assets for “Ryukyu lyric drama.” In 2006 she was awarded the Ryukyu Shimpo award. She was selected as an Okinawan person of merit in 2012. In 2016 she was awarded The Order of the Rising Sun, Gold and Silver Rays.